During WWDC 2013, Apple introduced an innovative new way of using your iDevie to interact with physical items. 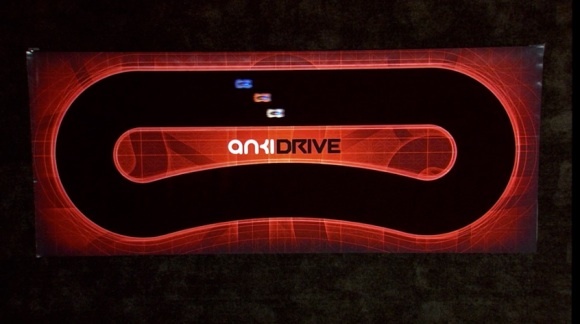 This took the form of Anki Drive, a miniature driving game that is self driven and can be manipulated using an iOS device. The demonstration really impressed a lot of people and left the audience wondering when Anki Drive would be released. It was announced it would be released in late October and sure enough Anki Drive has just landed in the Apple Store for $199. Anki DRIVE uses Artificial Intelligence (AI) to deliver a racing game like no other—with cars you can control from your iPhone or iPod touch. Play against friends or against a DRIVE AI car under its own control. Each car has been engineered to think. It knows where it is, makes decisions, and drives itself. So watch your back. DRIVE AI cars are more than ready to takeyou out. Anki Drive uses state of the art sensors enabling each car to scan the track 500 times a second. It uses various algorithms to determine its exact position, speed, and trajectory relative to the other cars on the track. Furthermore, it’s stated that Anki Drive takes advantage of artificial intelligence to interpret the environment around each car. To put this into perspective, it’s said that if this was scaled up, Anki Drive would be able to drive at 250mph and execute maneuvers within a tenth of an inch. In addition to the starter kit there are two additional cars available for purchase that include blue Katal and red RHO. Each car has its own personality and is equipped with unique skills, weapons and defences. Anki Drive is available for $199 and although it’s a steep price tag, it definitely seems worth it for such a cool gadget.